The start of the 2019 Shute Shield season is just a few sleeps away and with eight of 11 clubs to be led by rookie coaches this season, there is a lot of unknown heading into round one. Will Sydney Uni continue their dominance, are Easts ready to take the next step and can an Eastwood legend turn his side back into a premiership force? 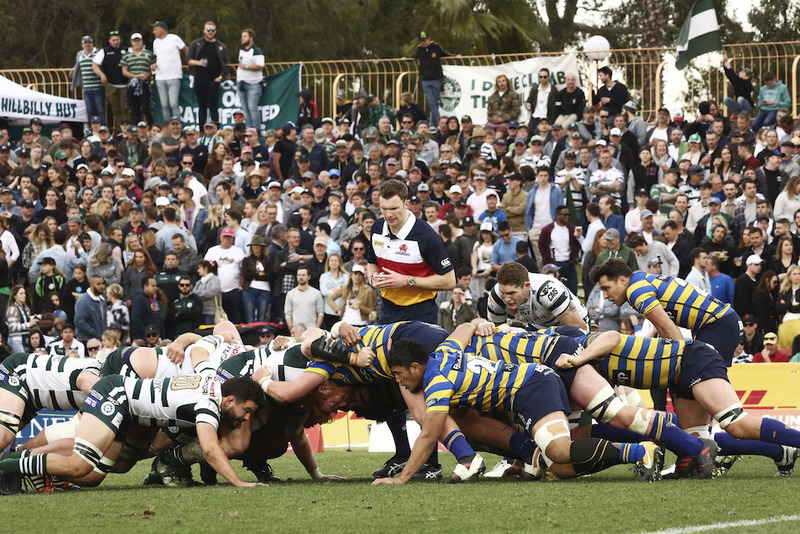 We spoke to all 11 Shute Shield coaches to find out what we can expect from their sides in 2019. Eastern Suburbs returned to the playoffs for the first time since 2013 last year but couldn’t match eventual premiers Sydney Uni in the latter stages of their clash on the opening weekend of the playoffs. Despite that, the Beasties were easily one of the competition’s biggest improvers in 2018 and with a similar roster back on deck in 2019, Easts will like their chances of playing deeper in the Shute Shield finals series this season. Like Forrest Gump’s box of chocolates, you never knew what you were going to get with Eastwood last year. Under new coach Ben Batger, the Woodies were woeful at times and near unbeatable at others and eventually fell short against Norths in the opening week of the playoffs. Despite farewelling club legend Jai Ayoub and (on again off again) coach John Manenti, Eastwood have recruited better than most over the summer and could be a team to watch in 2019. 2018 was a year of extremes for Gordon. One of Sydney’s most famous and illustrious rugby clubs, Gordon’s colts program featured in all three colts grand finals while their first grade side finished last. Following a number of disappointing seasons, the Highlanders have recruited Shute Shield winning coach Darren Coleman and a number of impressive names in an attempt to turn their grade fortunes around. While time will tell if those attempts will be fruitful, there’s certainly a different feel to things at Chatswood Oval in 2019. Unfortunately for Marlins fans, it was a familiar story at Manly Oval in 2018. After showing promising signs throughout the regular season, three draws in the final six rounds saw Manly drop to fourth place heading into the playoffs, where they were beaten by Warringah and Sydney Uni consecutively. Coach Billy Melrose knows that last year’s finish wasn’t good enough and has spent the summer preparing a new look Manly side for what may be their toughest challenge in recent years. Northern Suburbs fell agonisingly short of playing in their third straight Shute Shield grand final last year and have handed the reigns to 30-year old rookie coach Nick Hensley ahead of the 2019 season. The Shoreman are another side who will likely benefit from Super Rugby’s earlier finish this year and will be tough to beat if they find themselves anywhere near the top of the ladder around mid season. Former colts coach Hadley Jackson and a host of new faces have joined the Galloping Greens top squad, as they look to return to the finals and forget last year’s disappointing finish. After dropping their first five games, Southern Districts never found their best in 2018 and finished two wins short of a spot in the playoffs. Still searching for an illusive premiership, the Rebels have had a changing of the guard over summer with coach Matt Barr and a number of big names moving on. Former Edinburgh and Scotland A forward Don Mackinnon has taken charge at Forshaw and is looking to build a more resilient Rebels outfit capable of breaking their premiership drought. In his first year coaching the top grade, Rob Taylor did what most considered impossible. He picked a backline of young stars fresh out of colts, mixed them with some experienced and talented forwards and won a Shute Shield premiership. This year, the Students find themselves in a similar situation with a host of big names moving on. But if history tells us anything, it’s that Sydney Uni know how to replace talent and if they can do so up front, they’ll be hard to stop again in 2019. Warringah couldn’t match a brilliant Sydney Uni side at North Sydney Oval late last year and fell one game short of claiming back to back Shute Shield titles. At the end of 2018 a number of senior players decided to call it a day and coach Darren Coleman moved to Gordon, opening the door for former Wallaby Mark Gerrard to take the reigns of a somewhat new look Warringah program in 2019. After a brilliant start to 2018, the wheels came off at West Harbour mid way through the season, which saw the Pirates fall just short of an illusive finals berth. The club then had some well publicised off field issues and lost their coach to Super Rugby. But things have turned around according to new first grade coach Mark Gudmunson, a veteran player and coach at the club, and the new look Pirates seem confident that they’ll be competitive again in 2019.